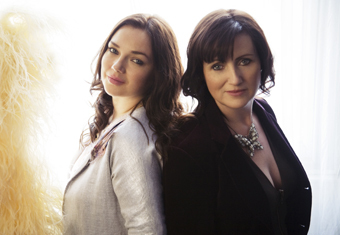 Lumiere, with Pauline Scanlon and Eilis Kennedy on vocals and Donogh Hennessey on guitar, has released two albums, including this year’s My Dearest Dear, with special guest Sinead O’Connor. 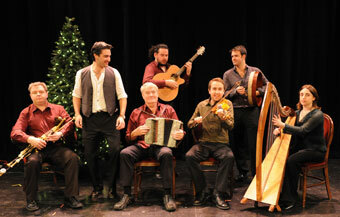 The Irish Times has praised the group’s vocal harmonies, canny song choices, and “melodious West Kerry Irish.” Séamus Begley comes from one of Ireland’s most acclaimed musical families and is famous for his heartfelt singing and brilliant playing of the accordion, on which he performs jigs, slides, and polkas with astonishing energy and spontaneity. Samantha Harvey is a champion Irish dancer, pianist, and accordionist for Los Angeles. Chicago resident Sean Gavin learned uilleann pipes from his father Mick and his teacher Al Purcell and has been strongly influenced by flute legend Kevin Henry. He performs often with his musical family and tours regularly with the acclaimed groups Bua and NicGaviskey. Oisín Mac Diarmada, in the words of the Irish Echo, is “one of the most gifted and creative traditional fiddlers playing today.” He was recently appointed Chief Examiner of the Irish Traditional Music Examination System. Join this fine lineup for an evening of great music and dance imbued with the spirit of Irish Christmas in America.